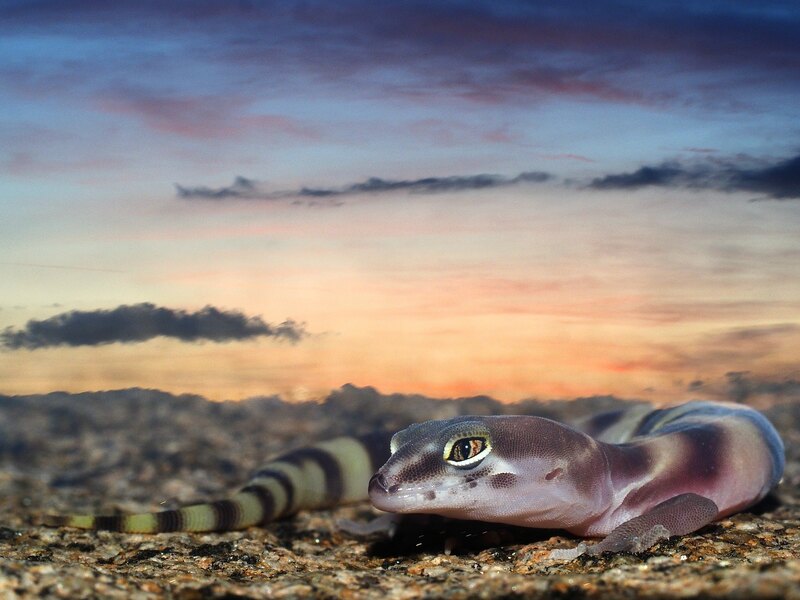 A herp photo got first place (not grand prize ) in the Nat Geo's 2016 Nature Photographer of the Year. Honestly, the photo looks a bit too staged to me. I love a good herp-in-habitat shot, but I've seen better here on FHF many times. I'm surprised they chose a picture of a snake. I'd like to think that it means attitudes towards herps are changing for the better. I agree that the photo looks posed. I'm really not surprised about that. I think that the general public is more and more beginning to recognize that herps are beautiful, exotic, etc., but I don't think most people have a real appreciation for their natural history and ecology yet. Most people that look at the photo probably don't even realize its posed. Still, its a step in the right direction. In looking at it again, other than the fact the snake is "sticking into" the frame it is a good composition. The use of light is good and the shallow DOF do make for a nice image. I'm sure if they zoomed out and you saw the other person holding the stick it might not have scored as high. I might also take umbrage with the fact that the snake is posed in a defensive position. That is unfortunate and will reinforce stereotypical fears. chrish wrote: In looking at it again, other than the fact the snake is "sticking into" the frame it is a good composition. The use of light is good and the shallow DOF do make for a nice image. Yea, that's a pet peeve of mine. I don't like it where it seems like the foreground could have been photoshopped over the background. I like to see continuity between the foreground and the background. I've taken photos like this and nixed them because it's missing that connection. 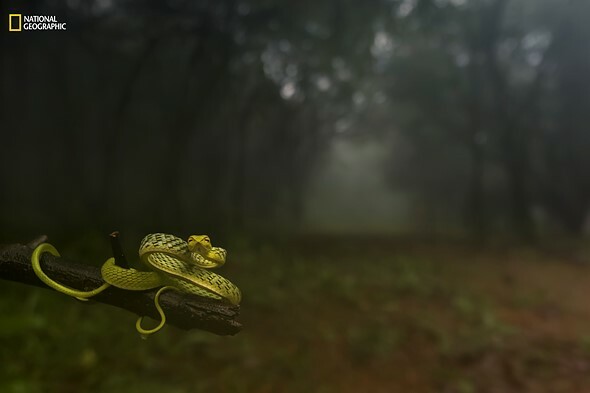 I like the background in this photo, and I think it would have been a much more solid photo if they had a downed tree or something that the snake was on fading into the background. 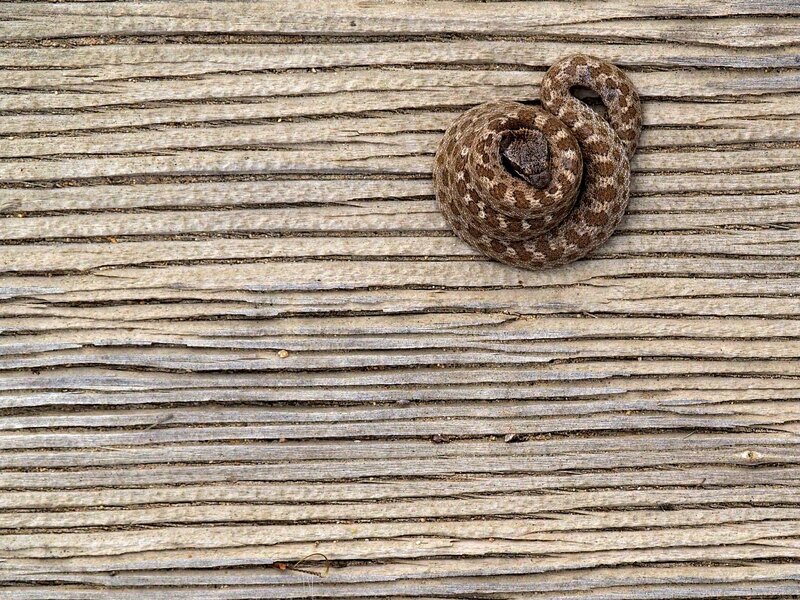 chrish wrote: I might also take umbrage with the fact that the snake is posed in a defensive position. That is unfortunate and will reinforce stereotypical fears. I thought about that too. To my mind that kind of reinforces my belief that many people have a "shallow" interest in herps. If its colorful, exotic, or appears dangerous, people are interested. Definitely an improvement over the, "the only good snake, is a dead snake", attitude, but it would be nice to see people have the same interest in herp natural history as they do in that of birds or mammals. I agree with this as well. Nice photo, but not amazing in my humble opinion. 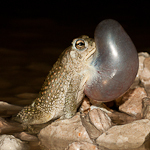 But to echo the sentiments of others, still cool to see a herp image win. This shows that, unfortunately, wildlife photography judges have no clue about herps, much less herp photography. In this case, they picked a shot as a winner that on this forum is judged by most to be sort of average, in some important ways even below average. But I have also seen the opposite happen, which is even worse. Nicholas has entered some truly unique, difficult to get shots of rarely seen and/or difficult-to-approach species into different photo contests, but the judges just don't seem to get it. If they short-list or award a shot of his, it's entirely based on aesthetics, their personal aesthetics. They seem to actually prefer posed shots, having no clue, of course, what is posed and what is not. Yes, in a way, both shots are kind of cool and "different" (the SD banded gecko is posed for a double exposure and the night snake is posed on the weathered board under which it was found). But they don't really communicate anything important about the animal, i.e., where it lives, what it does, how it moves, what it eats, etc. Nothing. Yet, at least to us, this is what a WILDLIFE photography contest SHOULD look for. Otherwise it's not really a wildlife photography contest at all, but rather a who-can-make-wild-animals-look-the-weirdest contest. Given these realities, Nicholas, for one, feels rather ambivalent about getting short-listed or winning when he does. To him, it feels a bit like he is tricking the system. And in a way he is. I quite like the simplicity (both composition and color) of the Hypsiglena shot. The lines vs. the curves is a neat contrast. I would have put it in the upper left side of the frame (rather than the right).....and I probably wouldn't have won!